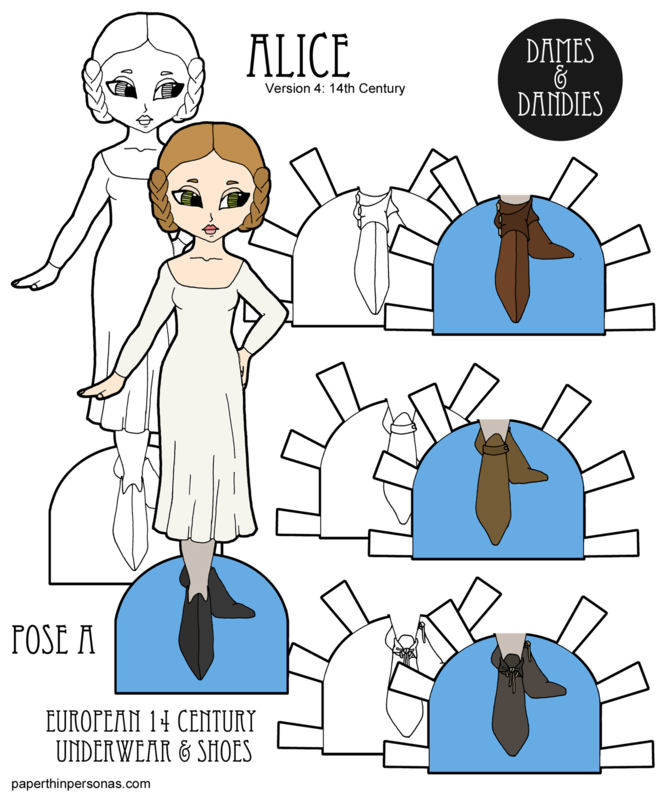 I feel like you could easily continue the dames and dandies, but add another series. Of you could make a pose D and on, and it would still be the same series, but something different too. Can’t wait to see all the rest of Alice’s 14th century outfits. Well, if I did something different than I would want it to be completely different. I do realize there are at least 23 unused letters in the alphabet, but to keep things in Dames and Dandies means keeping things to scale with each other and that’s a fairly confining limitation.